Previously, I wrote of Leprosy being The Sin Mirror, an illness in the natural dimension reflective of supernatural principles. But leaving it at that would be half the story. In the bigger picture, there is also The Grace Mirror, a fitting reflection in this season of Passover. For much of human history, to have Leprosy was to have a dreadful death sentence. It not only meant disfigurement and death but also social isolation. Whilst we have a cure for it today, that was not the case back in the 1800′s. In a bid to stop the disease from spreading and creating an epidemic, the Hawaiian government decided to send all lepers to the island of Molokaʻi. By creating an isolated leper colony on an island with some of the highest seas cliffs in the world, they hoped to contain the disease and stop its spread to the rest of the population. The writer Robert Louis Stevenson referred to it as “a prison fortified by nature”. Unfortunately, like the Sin Mirror that Leprosy is, enforcement of this containment policy led to the break up of families. Husbands, wives, sons and daughters were forcibly taken away to a colony of strangers, never to return. Such was the fate of about 7000-8000 Hawaiians from 1866 to 1969. It’s been said that every Hawaiian family has a connection to someone buried in Molokaʻi. Little wonder then that Leprosy became known in Hawaii as The Separating Sickness. The mirror of how sin separates us in our relationships and specifically from God is unmistakable. Mirroring the forced separation, deaths and general hopelessness which sin brings, the people of Molokaʻi soon suffered socially, emotionally and spiritually in additional to the physical afflictions leprosy brought. Faced with 2-3 deaths per week, this inward despair expressed itself outwardly with immorality, abuse and extreme drunkenness. Ultimately, the people of Molokaʻi needed to know exactly what every one of us does especially in times of crisis, where is God? In 1873, a courageous young Catholic priest resolved to answer that question and he did so by volunteering to spend his life serving them. He answered by mirroring God’s presence in the material. Fully aware of the dangers of personal contact, he still chose to live among the 816 lepers of Molokaʻi. In answering this question, he built hospitals, clinics, churches, homes, furniture and some 600 coffins as well as dressed ulcers and dug graves. His 16 years of service transformed the community with basic laws being respected, shacks becoming painted houses, working farms being organized and schools being established. His name was Father Damien and he died aged 49 on this day, the 15th of April four years later in 1889. How fitting it is that his sacrifice was completed in the season that his Lord’s earthly sacrifice was. Mirroring his Lord Immanuel’s answer, Father Damien’s answer of where God is began in being with, then being one of those he came to save. 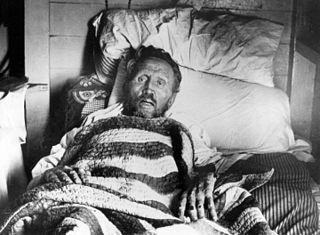 As one who was whole coming from another world to help those who were sick, Father Damien mirrored the graceful example of His saviour. This Passover, may we reflect upon and more importantly, reflect it to those around us. Mahatma Gandhi, “Mahatma Gandhi Answers the Challenge of Leprosy” (1965). Gandhi also claimed Father Damien to have been an inspiration for his social campaigns in India. The Hawaiian government repealed the quarantine policy in 1969. Many of the residents of the Molokaʻi colony chose to stay and as of 2012, 17 people still live there. Other articles in this series.